Besides their new aquacultured Amphirion latezonatus, Sustainable Aquatics is also getting in on the Wyoming White clownfish action. Unlike the popular Platinum percula, the Wyoming White is of the ocellaris variety, though it sports a nearly identical coloration to its platinum counterpart. 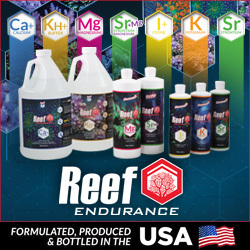 The Wyoming White was originally brought to the aquarium hobby by C-Quest in very limited distribution, but with Sustainable Aquatics culturing their own, we can safely say that the fish will become far more widespread, which will start occurring sometime in early 2013. 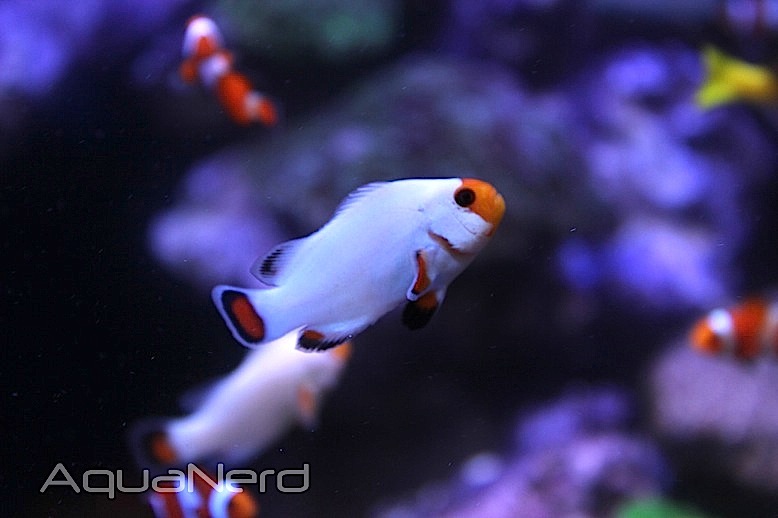 The SA Wyoming White clownfish will fetch anywhere from $500 to $600 per pair, depending on the retailer, and World Wide Corals has a single pair for sale currently. A few pairs were available at MACNA, but again, retailers won’t be seein them in large numbers for a while.